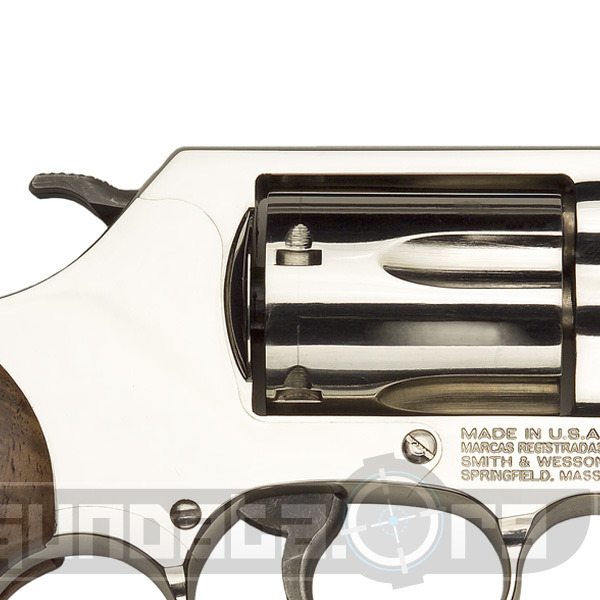 The Smith and Wesson Model 36 carbon stel fram 38 special nickel plated and a 5 shooter. 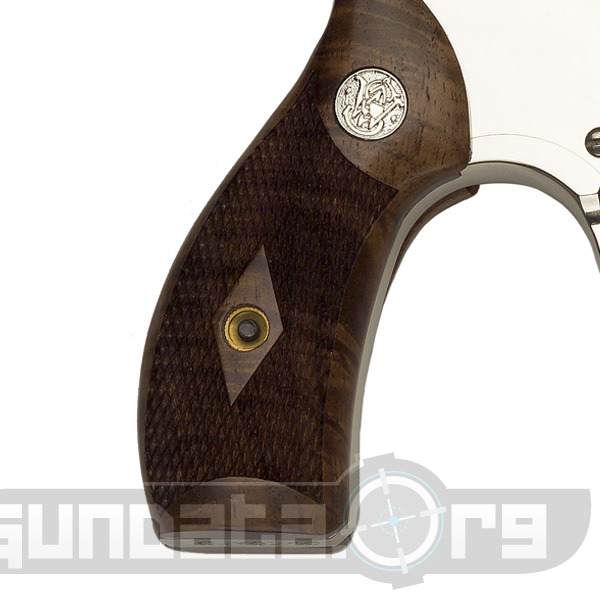 The grips are the classic wood, it has a rear fixed sight, a smaller than normal hammer that helps prevent it from catching on your pants. The gun weighs in at 19.5oz without any lead, has a 1.87" barrel, and an overall length of 6.94". 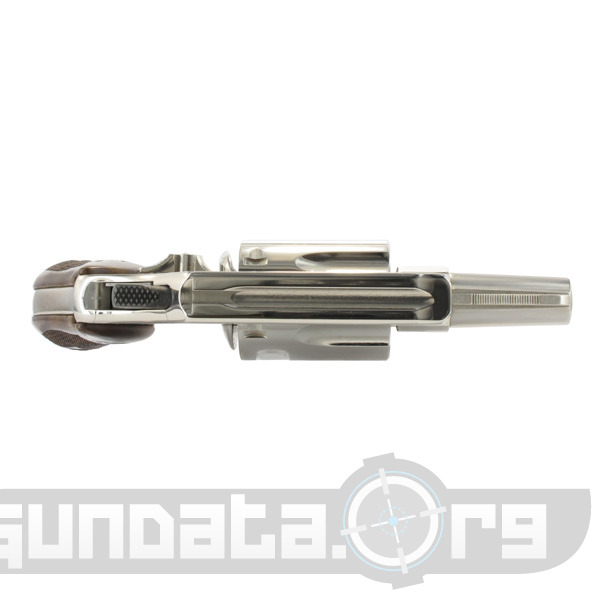 This gun is an excelent coneal carry gun great for your pocket, and the nickel coating makes it really popular with the collectors.